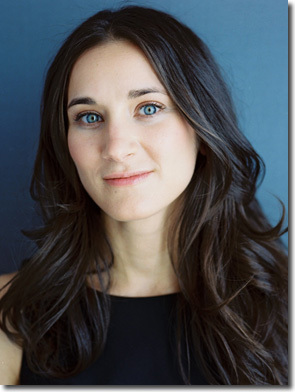 Hannah Moscovitch (born June 5, 1978) is a Canadian playwright. She is best known for her plays East of Berlin, The Russian Play, and This is War. Currently based in Toronto, she was raised in Ottawa's Glebe neighbourhood. Her father, Allan Moscovitch, is a social policy professor at Carleton University. Her mother, Julie White, is a labour researcher. Both have long been active in left wing politics. Moscovitch's father is Jewish, of Romanian and Ukrainian background, while her mother is from a Christian background (of English and Irish ancestry); Moscovitch was "raised as an atheist", and has said that there is an "implicitly Jewish sensibility" to her plays. At age eighteen, Moscovitch travelled to the Golan Heights and spent four months living in a Kibbutz. She is engaged to Christian Barry. She gained considerable notice for two short plays written for Toronto's SummerWorks Performance Festival. In 2005 she presented Essay, a play about gender politics in modern academia. The next year at the festival The Russian Play premiered, a romance set in Stalinist Russia. Both were well received by critics and audiences. In 2007 her first full length play, East of Berlin, premiered at the Tarragon Theatre. The play focuses on the legacy of the Holocaust on the children of those involved. The main character is the son of a Nazi war criminal who grows up in Paraguay. He eventually travels to Berlin and meets the daughter of an Auschwitz survivor. The play was acclaimed for its complex subject, humour, and characters and was also a popular success, returning to Tarragon in winter 2009 and 2010. Hannah’s smash hit East of Berlin played to a sold-out run when it premiered at Tarragon Theatre in 2007. The premiere production has since been remounted twice, in 2009 and 2010, and gone on a national tour. In March 2009, In This World was produced by Montreal's Youtheatre. The play, addressed to a teenage audience, deals with violence and sexual and racial politics. Hannah’s other writing for the stage includes Little One, The Children’s Republic, and The Huron Bride (a ghost story). Hannah’s plays have been produced across Canada, from coast-to-coast, including at the Magnetic North Theatre Festival, Factory Theatre, Edmonton’s Theatre Network, the Manitoba Theatre Centre, Vancouver’s Firehall Arts Centre, and Alberta Theatre Projects. Hannah is currently playwright-in-residence at Tarragon Theatre. Hannah was a contributing writer to the CBC radio drama series Afghanada (2006-2011). Her latest play, This is War, premiered at Tarragon Theatre in January 2013, directed by Richard Rose. On This is War: "The playwright’s focus here is on Canadian troops in Afghanistan - a largely overlooked subject amidst contemporary war narratives like the great American Iraq war play Fallujah - and she dives in with a brave eye towards ambiguity. This is a group of four heroes who all do questionable things in a terrifying place, and they all contribute to each others’ misery in some way or another. Moscovitch shines a light on massive issues like sexual harassment within the military without making her play a morality tale or exposé. It’s a story about four good people in a bad place and all the grey area that that produces." This is War won the Trillium Book Award as well as the Toronto Theatre Critics' Award for Best Canadian Play. This page was last modified on 13 October 2016, at 18:24. This page has been accessed 25,924 times. Content is available under Creative Commons Attribution Non-Commercial unless otherwise noted.